Am I the only person who is so over chicken, burgers and hot dogs on the grill by the end of the summer? Don’t get me wrong – I love those – but sometimes I just want something more creative that can still be made on the grill. 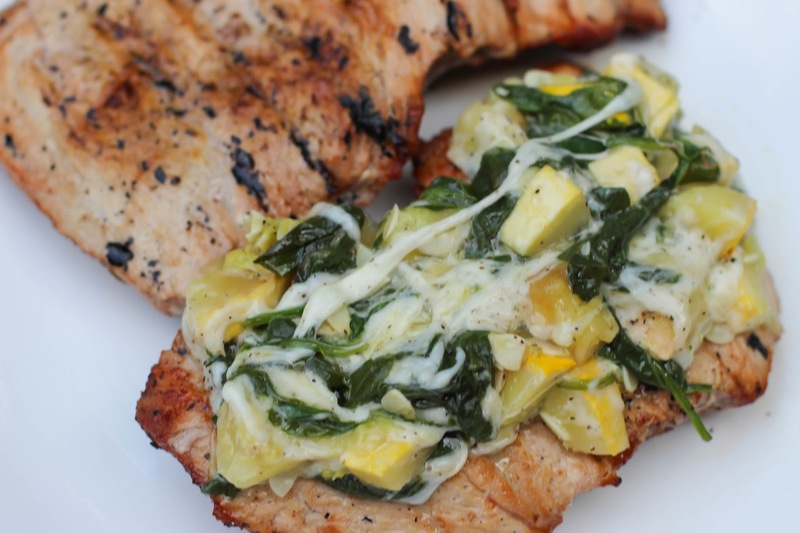 That’s why I put together this amazing recipe perfect for any foodie who loves the grill. (1) Cut sirloin in half so that there is a top and bottom (and stuffing can be placed in the middle). Flatten out some with a meat tenderizer, and throw on a grill preheated to 450 degrees. 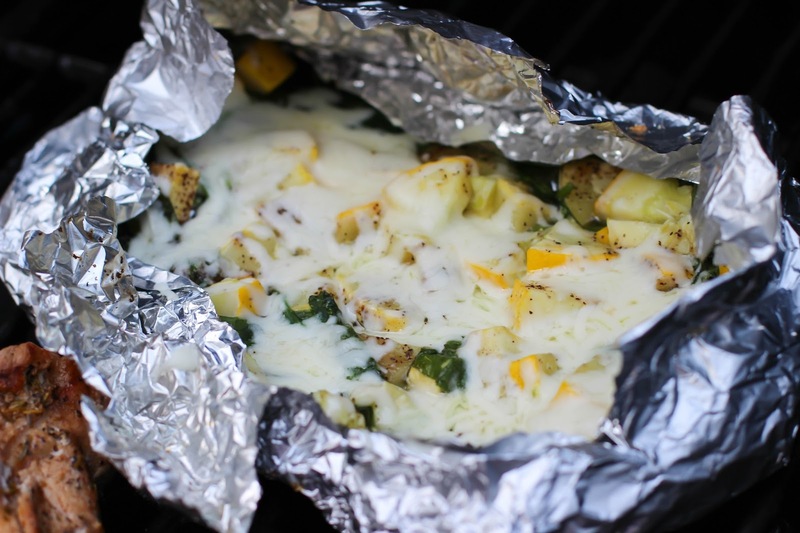 (2) Use tin foil to wrap up vegetables and cheese with a splash of olive oil and also place on grill. (3) Cook veggies around 10 minutes or until soft and tender, and cook meat until inside reaches 165 degrees or around 25 minutes. 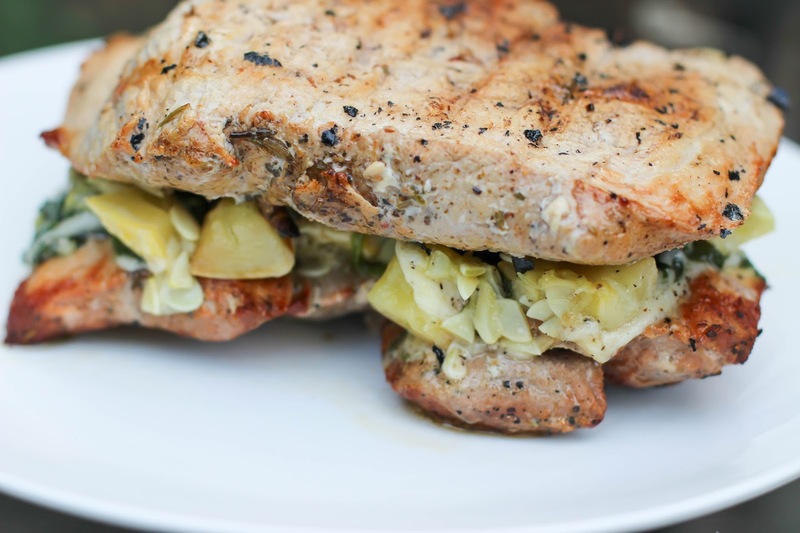 (4) Assemble by placing cheesy vegetables between the two slabs of pork, slice and serve! 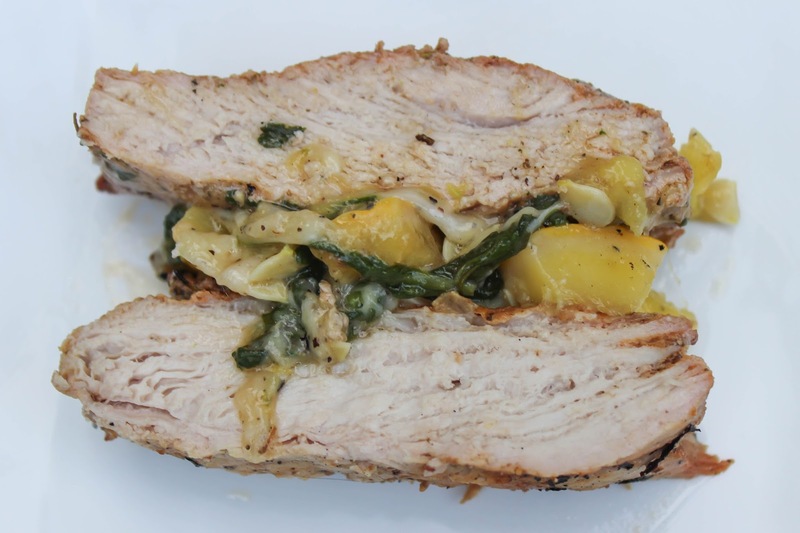 This recipe is so easy, absolutely delicious, uses only a few ingredients, and has so much flavor thanks to the marinated pork! 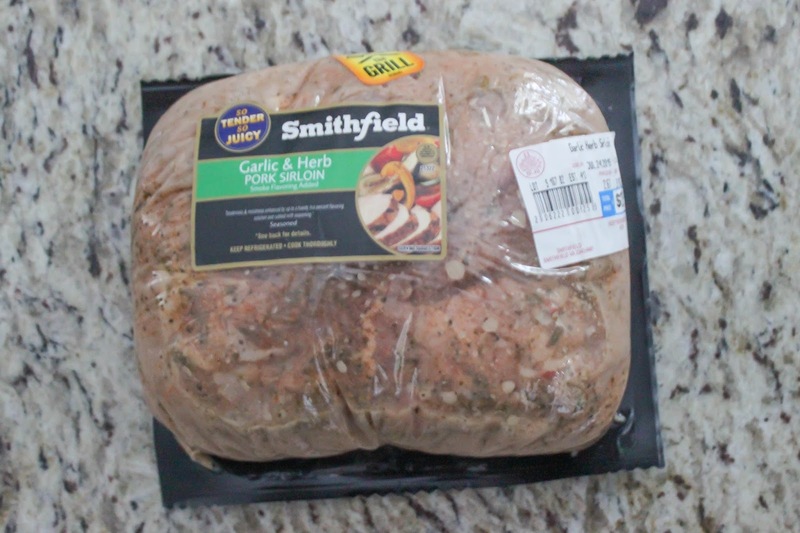 I find Smithfield® pork products at Walmart! Right now save $2.00 on any one Smithfield® Marinated Pork Product through this digital coupon offer (while supplies last). 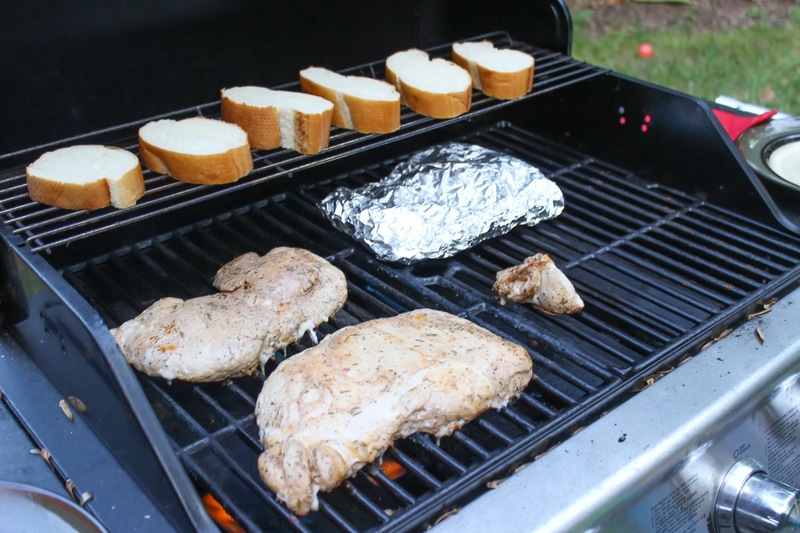 What is your favorite thing to cook on the grill? Let me know below! Oh yummy. I always love any recipes that incorporate vegetables. Will certainly be trying the one. Me too and fresh veggies are an extra plus! 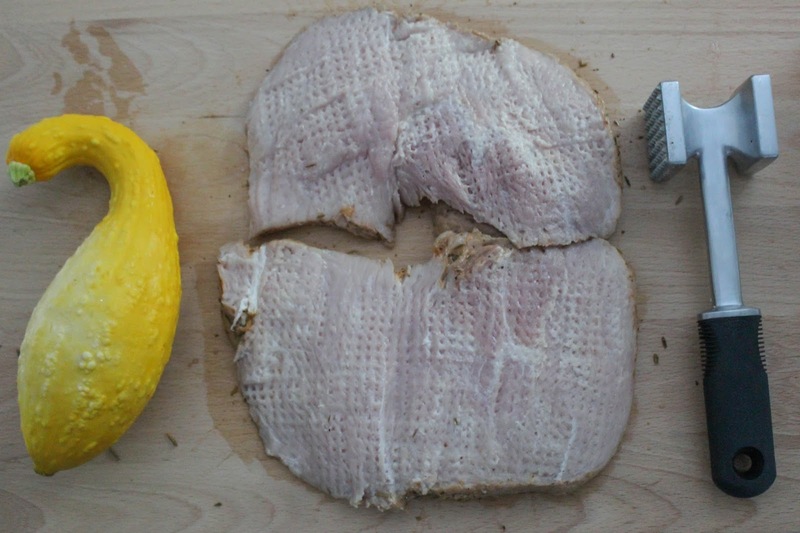 I've never thought to stuff pork – what a great idea! It's a go to for me in the winter months when I make it in the oven and use sausage to stuff it – this is the first time I've done it on the grill and gone lighter with veggies and it turned out great! I know this was a first for us as well making it on the grill but it turned out amazing! I have never made stuff poke but this looks amazing! I love grilling during the summer so I will definitely have to add this to my list of recipes to try! Seriously this looks delicious! It turned out great so I highly recommend it 🙂 Let me know if you try it! This looks so so nice! I'm hungry now! Looks so easy and tasty! Love grilled recipes! This looks delicious! I am not a pork roast fan, but I bet I would love it cooked on grill. I agree – by the end of the summer I'm burned out on steaks, chicken, burgers and brats. Thanks for the great suggestion! It is better on the grill! This looks absolutely amazing! My husband is a good griller and I am going to pull this up for him! If you try it let me know your thoughts! This looks SO delicious! I am going to get my husband to grill this over the weekend! I just pinned! Thank you 🙂 If you try it let me know what you think! Yes gotta spice things up! That looks delicious! I love how creative you are! Wow, this recipe looks delicious! Anything with veggies on the grill is delicious in my book! Incredible combo! I love any white cheese with pork, and mozzarella takes any vegetable to the next level. Hello, flavor town. This looks amazing Claire! 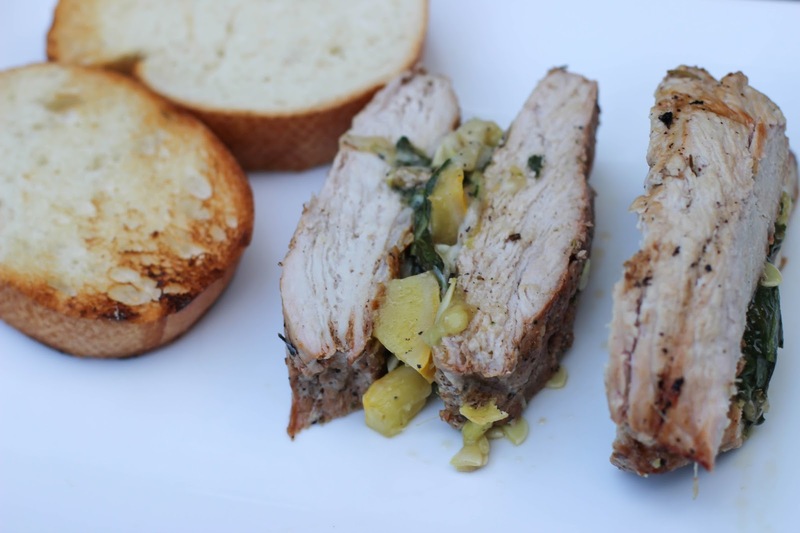 I've seen a few pork recipes lately but this one might just be my fav! I love anything with roasted veggies!! Thank you for sharing! !